No matter how good a person is at typing or editing once in a while he/she always looks at the keyboard which he/she is using. The editing of videos is often done in front of more than one monitor screens and in low light conditions just like the development of photos is done. To fulfil the purpose of video editing comfortably in the dark a basic yet very ‘cool’ launch is being made in India by the novice yet very quickly rising company EditorKeys. 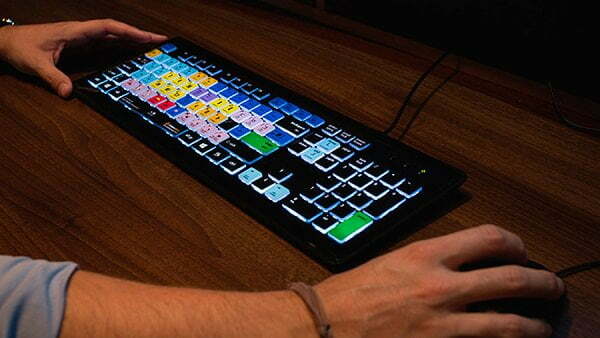 The launch of a backlit editing keyboard. This company has taken the editing world by a storm and has risen very quickly amongst its ranks due to the easy functionality of its products and innovation, which seems to be at its heart. One of the recent developments which has arose from this innovative aspect of the company is the Backlit editing keyboard. This keyboard offers the very same virtue of easy functionality by the users as does the other products of this company. The company CEO claims to have spent a lot of time in developing this keyboard in response to the several emails he got for him to solve the issue of editing in a dark room and in between bright monitor screens and unlit keyboards. The conventional backlit keyboard could not be used as a reference for the editing keyboard as they have an indirect and a harsh light spread throughout its interface which could have created a problem for the viewer to see the short-cut designs on the keyboard. Why to use a backlit keyboard? Once you see a backlit keyboard you can see that there are several functions to just one simple key and to view and know each of the functions for the editor is the key to video editing. So there is no point in jeopardizing the view of the editor, over the several stickers on the keys which would cause a total dis-functionality of the keys. The functionality and the basic concept/idea is what makes this keyboard worth a try. India has welcomed the campaign and we look forward to having the keyboards at not only the major recording and editing studios but also at the minor ones.